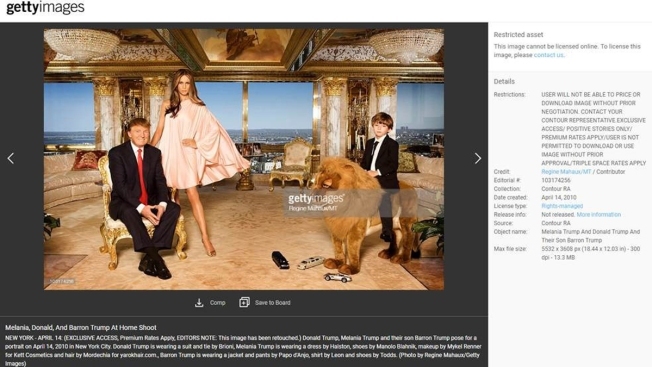 A screen shot shows how an individual Regine Mahaux photo of the Trump family appears on the Getty Images website. 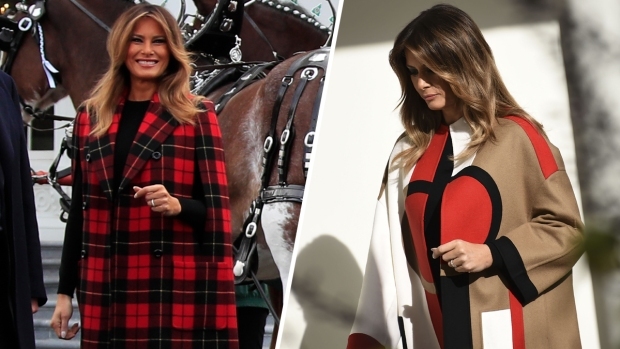 Since her husband took office Melania Trump has earned six figures from an unusual deal with a photo agency in which major media organizations have indirectly paid the Trump family despite a requirement that the photos be used only in positive coverage, NBC News reported. Getty Images told NBC News that the details and amounts of payments to the Trumps are covered by confidential agreements. Several news organizations removed the images from their websites after inquiries by NBC News; NBC's Nightly News included the images in a Nightly News segment on Melania Trump that aired July 18, 2016, during the Republican National Convention. An NBC News spokesperson said NBC News did not agree or sign a statement that the image would be used for positive coverage, and was never informed that a portion of the royalties would go to the Trump family.